Oasis City Church - New Here? Oasis City is a congregation rooted in the love of God and dedicated to worldwide transformation through God's presence. It's our goal for God's love to be seen in signs, wonders and miracles. The atmosphere at Oasis is charged with faith and passion for Jesus, which we attempt to display in all we do. We believe we're on the edge of the greatest revival of all time. We welcome you to join us in this adventure! "Great worship, great preaching. If you're in the Cowichan valley or just passing through , check it out. Great family to be a part of!" "Very welcoming, real genuine people, great sense of community, casual, authentic Spirit led worship, great accurate Biblical teaching, oh and free coffee and a beautiful new facility." "It's like a second family to me and my daughter :) very welcoming and supporting people :)"
"Love Oasis City Church!! It’s a warm and inviting place for my family to call home." "This church is fantastic. I am so happy we have found it. I am revived, refreshed and energized in the Holy Spirit when I attend and enter into song and teaching. I praise God for the genuine encounter with Jesus Christ I experience through Oasis Church." 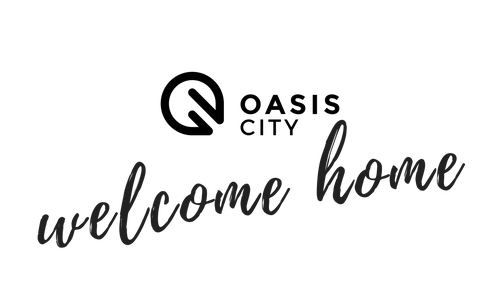 If you are looking for a family church that has the Love of God and the Power of the Holy Spirit flowing through it's members and leadership, Welcome Home! Welcoming atmosphere and a palpable presence of God. Keep up to date and listen online to our latest messages.